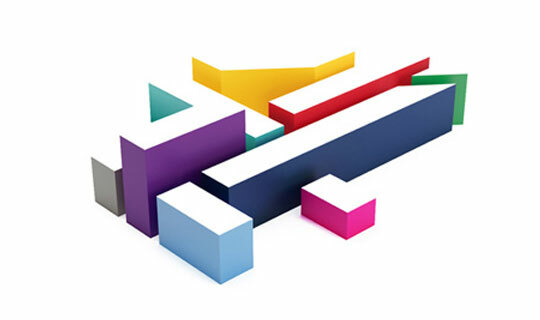 See me on the telly! Receive a custom and personalised unique video message from me! 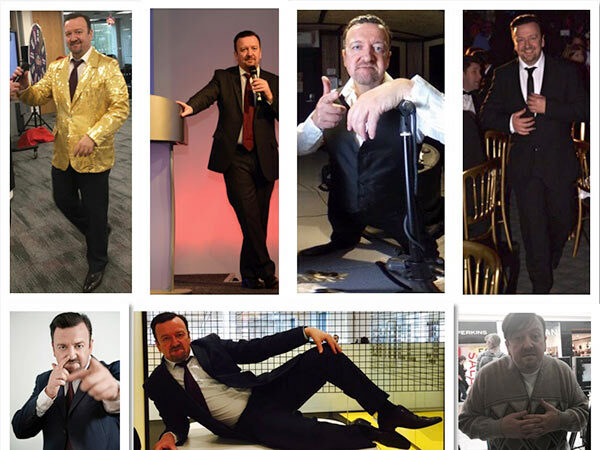 Tim has been a professional, full time lookalike / impersonator of Ricky Gervais / David Brent since 2004. 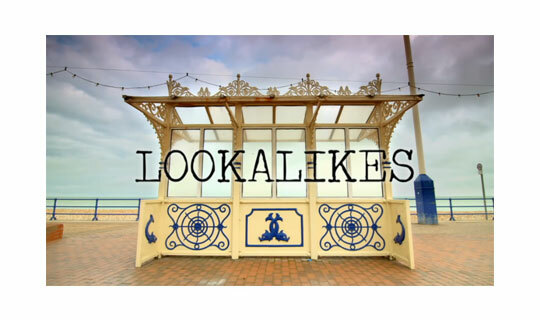 He has been on many TV shows including Britain’s Got Talent as one of the “Chippendoubles” and is currently appearing in the new series of “Lookalikes” for Channel 4. Tim met Ricky when he was summoned to interview him for Total Film Magazine. The interview took place at the Hammersmith Apollo theatre and they got on famously, in fact, well enough for Ricky to have said “Tim is the best” in a small video clip which can be seen on the left. Subsequently to that, Ricky told the commissioner for Sky1 that he is Tim’s biggest fan. Tim was lucky enough to work with Ricky on another occasion when he was invited to work on a Hollywood movie as Ricky’s body double in the Muppet’s. If you are a Ricky fan, you will not be disappointed with Tim, as he not only looks like Ricky, he sounds like him and has all his mannerisms too. As Tim was already involved in the entertainment business and could see the earning potential and just how much fun he could have as a lookalike impersonator, he decided it was time to do something about it and start to hire himself out. 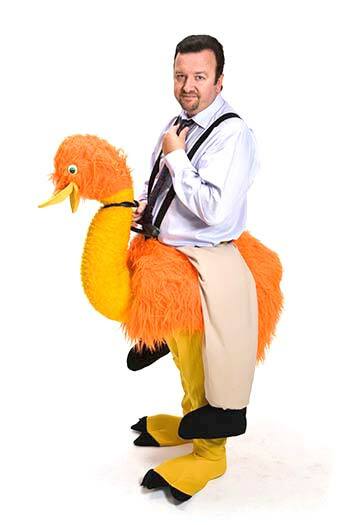 Bring a bit of Ricky Gervais Magic to your events. 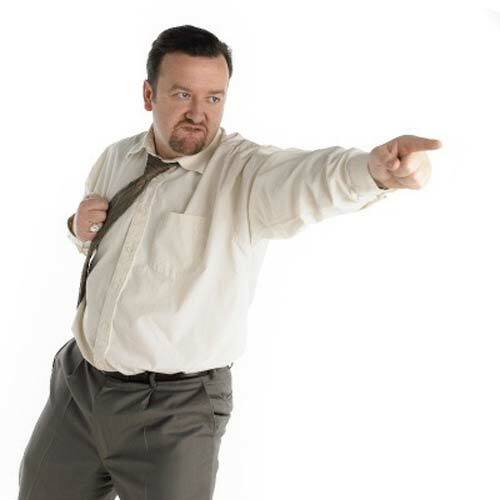 We hired David Brent…I mean Tim for a corp event within our call centre here in Ireland to promote a product and motivate salespeople to position it with customers. 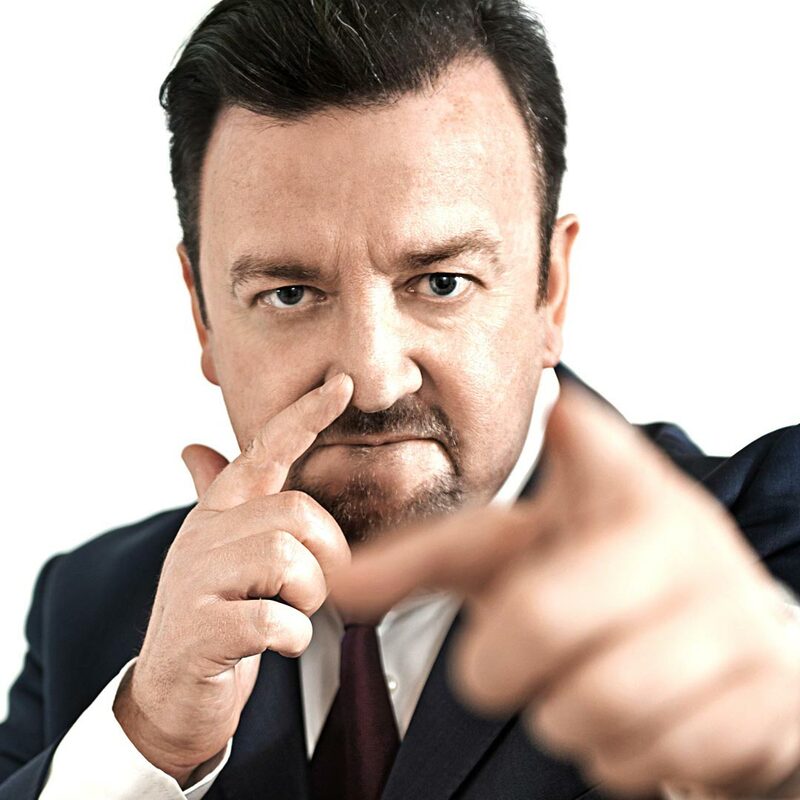 I booked Tim to compare the Slough Chamber Awards 2010 which took place in David Brent’s home town of Slough. Opting not to run with a regular MC, I booked Tim as I wanted to create a lasting impression on the 250 attendees. Tim has worked for us on a couple of occasions. The most memorable being the filming of some viral videos for my business, The Jobs4 Network.